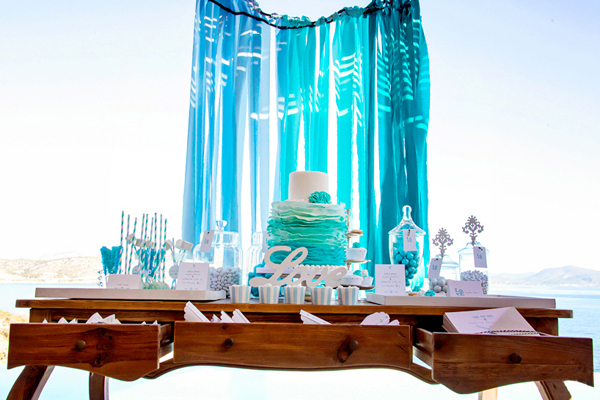 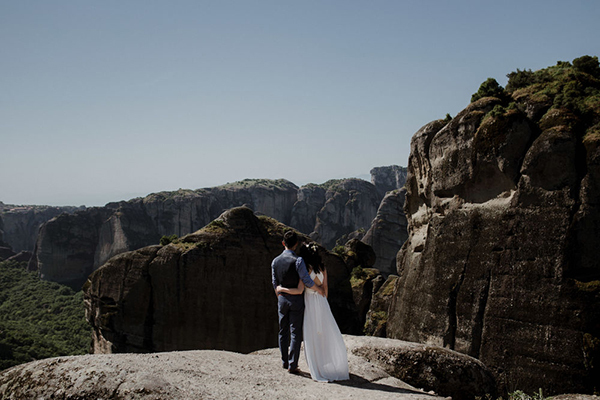 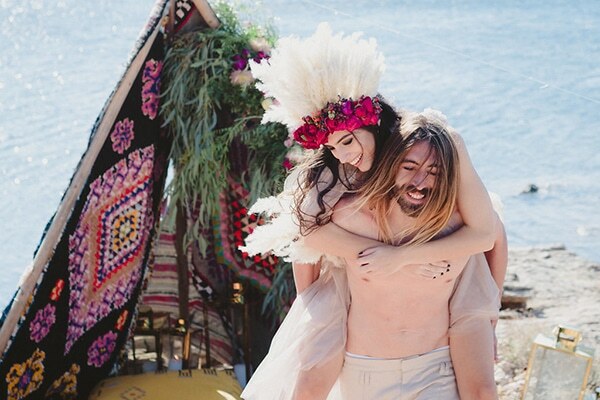 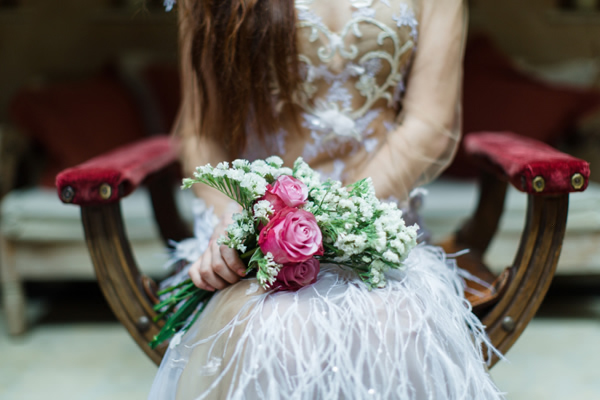 Today we are sharing a romantic styled shoot in beautiful Greece! 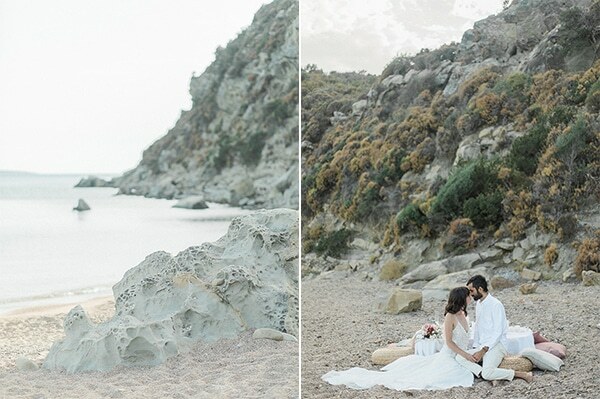 The shoot took place at a dreamy location with a backdrop of a wonderful olive grove near one of the most rocky beaches of the region! 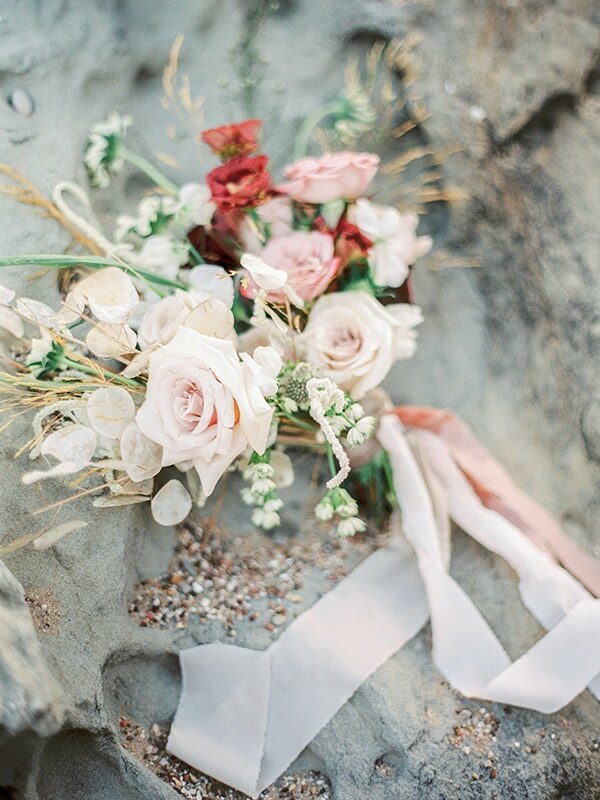 The floral decoration with fresh flowers in peach, rose and white hues were absolutely an eyecatcher! 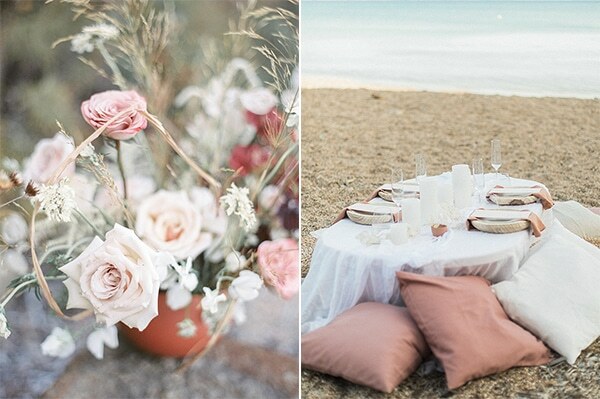 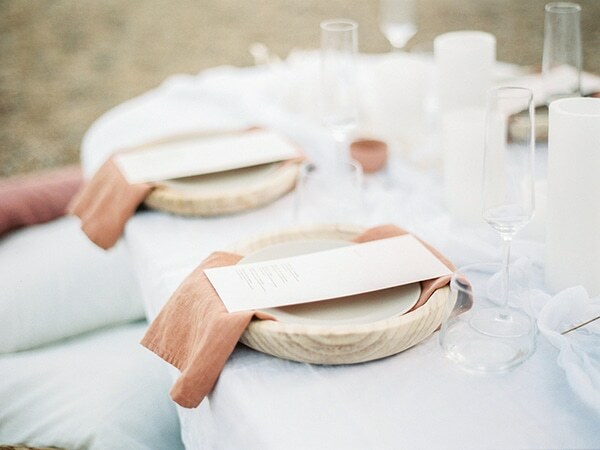 We also loved the cozy table setting by the sea decorated with candles, ceramic pots and peach and ivory pillows for seats which matched perfectly with this idyllic natural scenery! 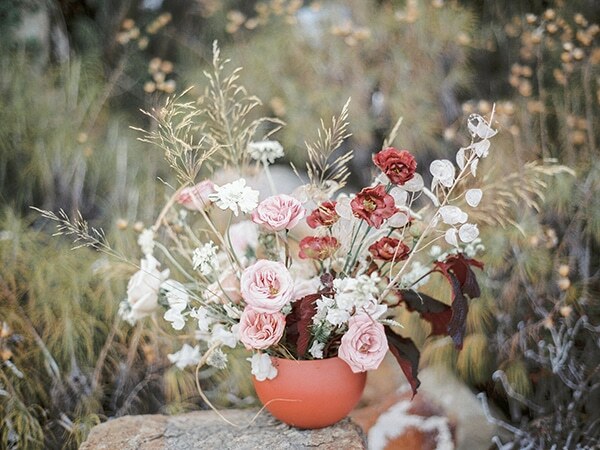 Go ahead and get lost in these inspiring images!